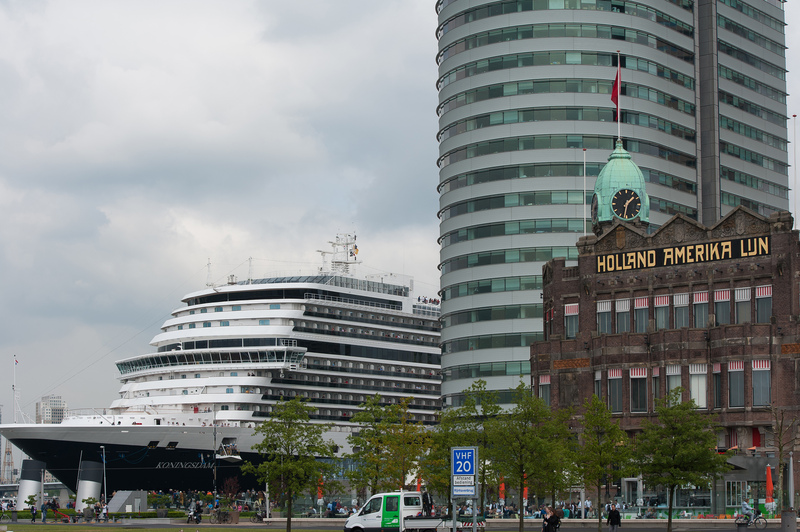 In a festive event rich with Dutch heritage, Holland America Line held a Dedication Ceremony for ms Koningsdam Friday, May 20, 2016, in Rotterdam, the Netherlands. 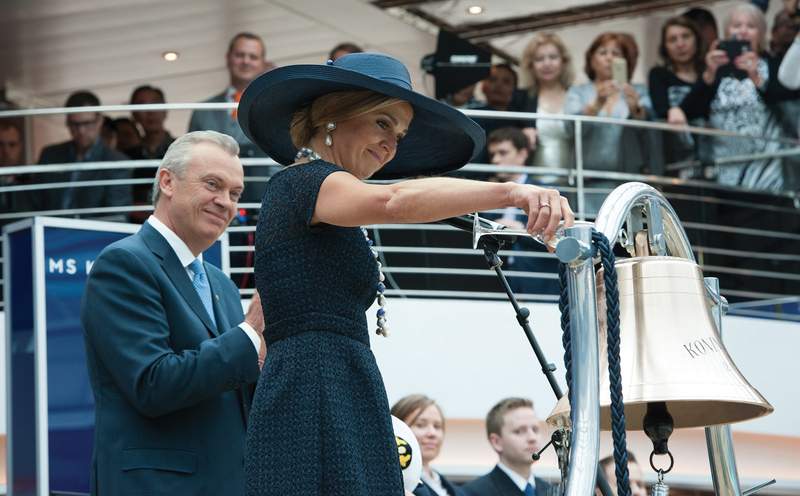 Her Majesty Queen Máxima of the Netherlands officially blessed the bell and named Koningsdam on board ship in front of invited dignitaries, cruise guests, travel partners and media. 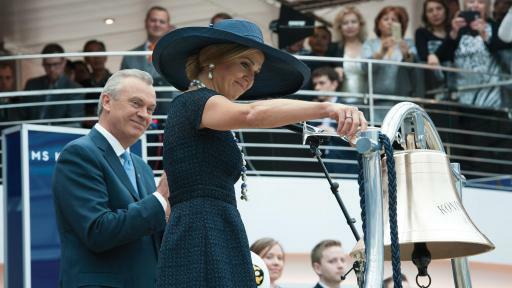 The celebration began with Her Majesty Queen Máxima performing the ceremonial honors of blessing the ship’s bell in the Lido pool area by pouring a glass of champagne over the bell. 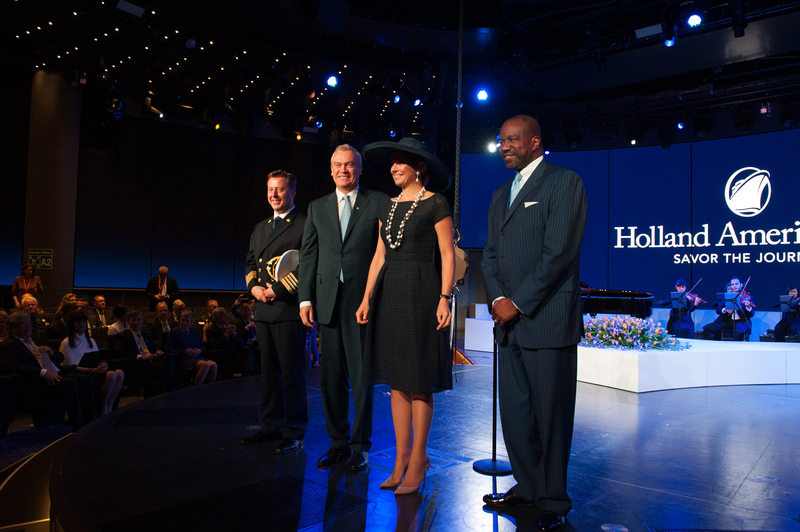 The blessing of the ship’s bell is a hallowed Holland America Line tradition when welcoming a new ship to the fleet. 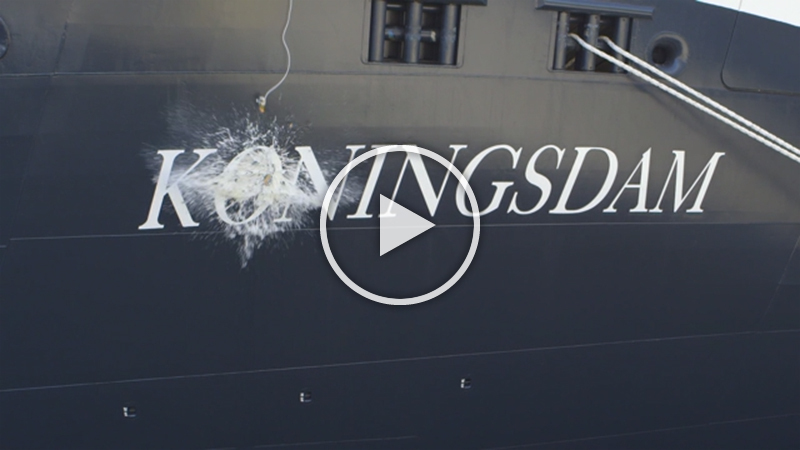 Her Majesty also was the first to sign Koningsdam’s commemorative wall that will become a permanent installation on the ship. 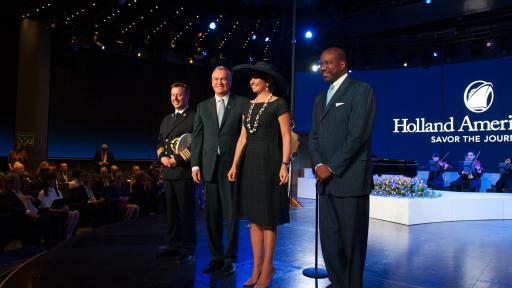 Following the ceremony, a gala luncheon was held onboard in addition to shipwide celebrations throughout the day. 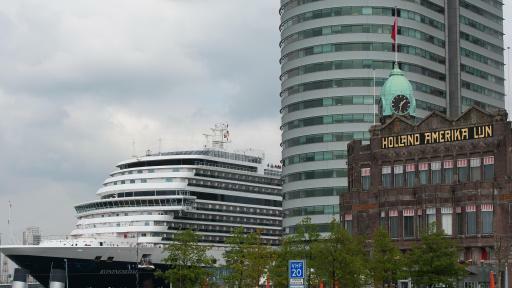 In the evening the ship will set sail for Amsterdam, the Netherlands, to overnight on May 21, and fireworks lit up the sky as Koningsdam passed Hoek van Holland. 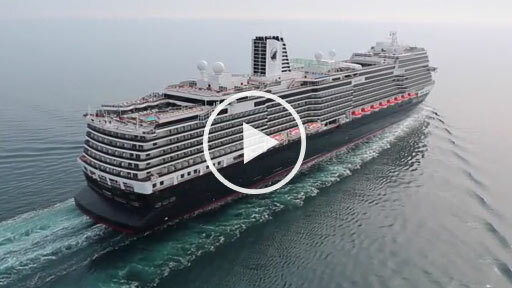 Thousands of Dutch residents came out throughout the day to join in Holland America Line’s special events. During its inaugural season in Europe, Koningsdam sails in the Mediterranean and then repositions from Civitavecchia (the port for Rome) to its summer homeport of Amsterdam. 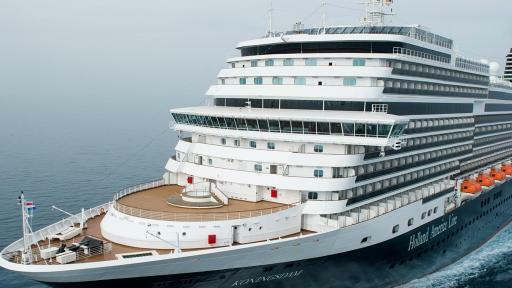 The ship will go on to sail roundtrip Amsterdam itineraries to Norway, the Baltic and Iceland.